When using sponges to paint with facepaint, look for sponges with 'pockets' that will absorb water (triangular makeup sponges are too dense) like orange facepaint sponges. Mix paint into a cream and dab on with the sponge to avoid streaks. 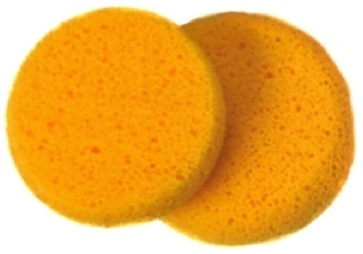 Sponges can be cut into smaller pieces and are washable and reusable.